Winning World Cup 1 In Bled, Slovenia this year. CAN Fund has provided me with the financial stability to train full time without having to rely on other sources for income. Having this weight off my shoulders, knowing I’m self-sufficient, I can focus 100% of my attention on training harder and racing faster! 1st, World Cup, Bled Slovenia, 2010. 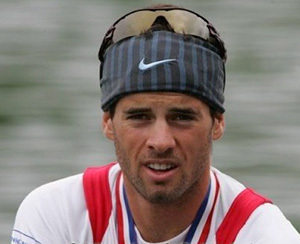 5th World Championships, Poznan Poland, 2009. I have many hobbies; almost all of which I’ve acquired and or learned through youtube, including: Stencil Artwork, Guitar and Film/video editing. When I’m not rowing, I like to windsurf.